With sincerity and hard work of our professionals, we have carved a niche for ourselves in this domain by offering Kurkure Making Machine. Designed with utmost precision, the offered machine is manufactured using optimum quality components and advanced technology. In addition to this, our offered machine undergoes various tests under the supervision of quality controllers, in order to ensure its flawlessness. Our organization has gained recognition as the affluent manufacturer and supplier of a qualitative range of Kurkure Machinery. 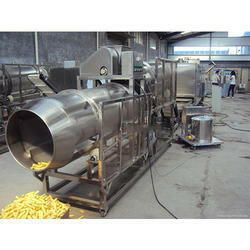 With our immense domain expertise, we are involved in providing Kurkure Seasoning Machine & Frying Machine. 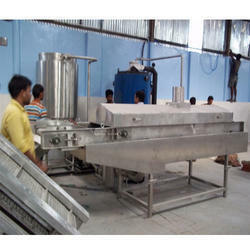 Widely demanded by our clients due to its attributes like hassle free performance, less maintenance and easy operation. This is designed by our highly deft experienced workers from the finest grade components, at par with the market prevalent parameters. Moreover to this, these machines are tested against several parameters before delivery to eradicate any flaw form entire range.